BeautySouthAfrica - Win - WIN one of 4 essence makeup hampers! WIN one of 4 essence makeup hampers! In a country as diverse as South Africa, you’d expect makeup brands to cater for all skin tones, but unfortunately that’s seldom the case! That’s why we’re ecstatic about the launch of essence’s new range of diverse foundation shades that celebrate the vibrancy of the Rainbow Nation. As varied as South Africa’s numerous beauties are essence’s vast array of foundations. essence is a brand that celebrates your inherent uniqueness, your individuality, that quintessential quality that makes you ‘you’. Favourite essence foundations such as the soft touch mousse make-up now come in an extended selection of shades to match every skin tone, from creamy dreamy caramel to luxurious dark mahogany. Furthermore, the new #instaperfect foundation range will allow a flawless look for nearly every woman. Everyone who is still struggling with finding a matching shade will love to customize their nuance with the new darkening and lightening drops. 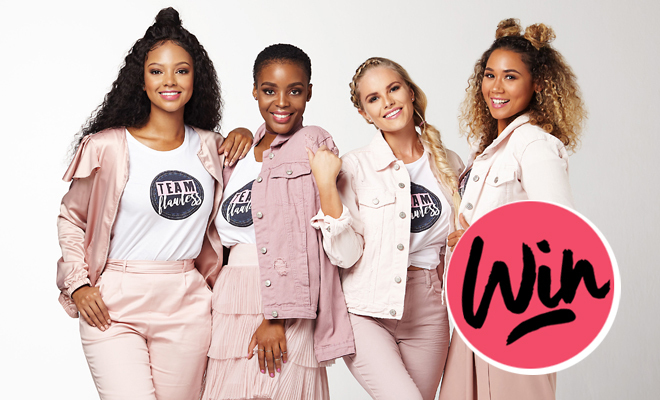 To help guide through the journey of finding the perfect foundation, essence has put together a team of passionate and inspiring beauties – #TeamFlawless. These gorgeous ladies are not just combining different skin tones but also reflecting a vibrant mix of characters, just like all South African beauties. Available Dis-Chem, Foschini, Jet, Clicks and online at Zando & Takelot. Four lucky ladies will win an essence makeup hamper worth R500! Enter below. This competition is open to SA residents only and closes at 17:00 on 4 November 2018. You may enter as many times as you wish if you would like to increase your chances of winning. The winners will be drawn from all the correct entrants and notified via email. This prize cannot be exchanged for cash. BeautySouthAfrica.com’s decision is final and no correspondence will be entered into. We will not share your information with any third parties. If winners do not respond to email notification within three days, another winner will be drawn. BeautySouthAfrica.com will supply all hampers to the delivery company in good order, but will not be held liable for the condition of hampers arriving at the winners’ chosen delivery address. Please allow six to eight weeks for delivery. If you have won a prize on BeautySouthAfrica.com in the last two months, you are ineligible to win this competition.